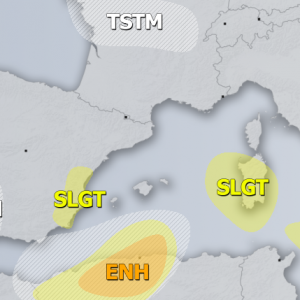 A broad omega blocking is strenghtening over the Mediterranean towards central Europe, while a stationary upper low sits over western Iberia. 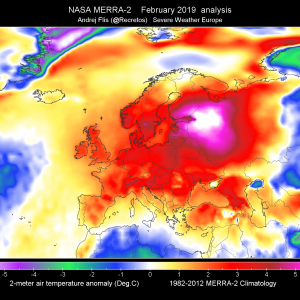 A large upper low remains over Scandinavia with a short-wave being pushed across the E Black Sea. 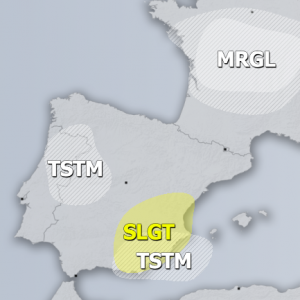 A SLGT+ risk has been issued for NE Iberia into SW France with threat for large to very large hail, severe winds and torrential rainfall. Moderate shear and strong instability should support quite widespread multicell and supercell storms by afternoon and evening hours. 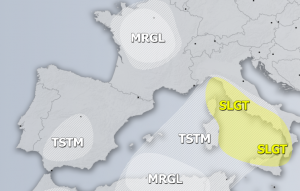 A SLGT risk has been issued for parts of N Italy and Alps with threat for large hail, severe winds and torrential rainfall. A few isolated supercells are possible in late afternoon hours. 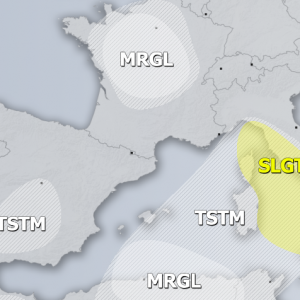 A SLGT risk has been issued for NE Turkey and extreme SW Russia with threat for isolated severe storms capable of producing large hail, severe winds and heavy rain.